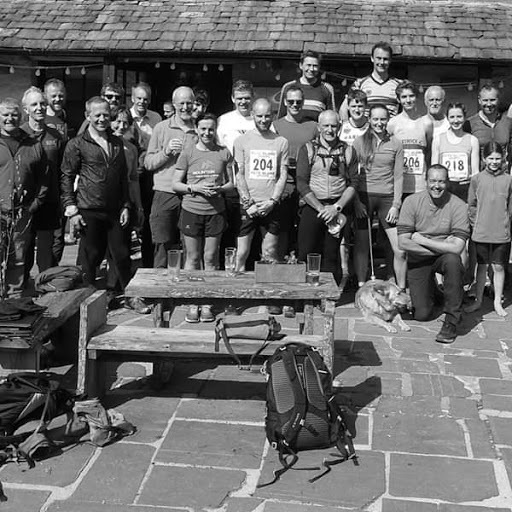 The first of the Club’s three annual fell races took place on Saturday 6th April. Thanks to Tony Shanley for organising the event. 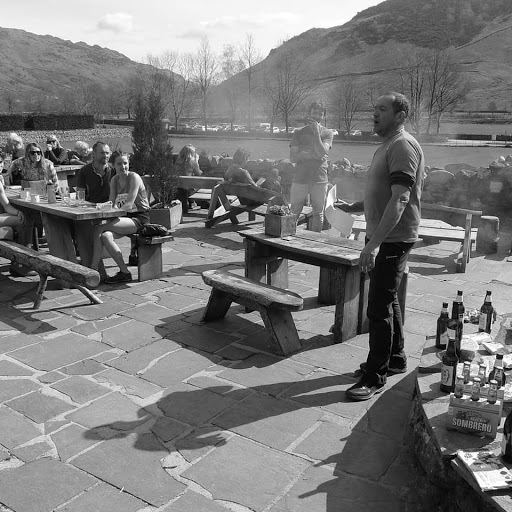 Unfortunately entries were down due to clashes with several other races but all who attended had a good run in the Langdale sunshine. Thanks to Mark Birbeck for taking some great photos, a small selection is shown below. Click here for a race report. More photos can be found here. Tony with some runners and marshals. Tony in full flow presenting Aldi’s best as prizes. 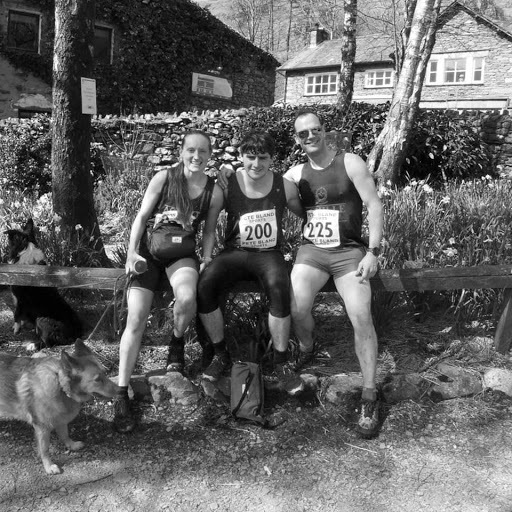 The Ratti Runners Jenni Boocok, Tom Makin and Dave Riding – well done all. 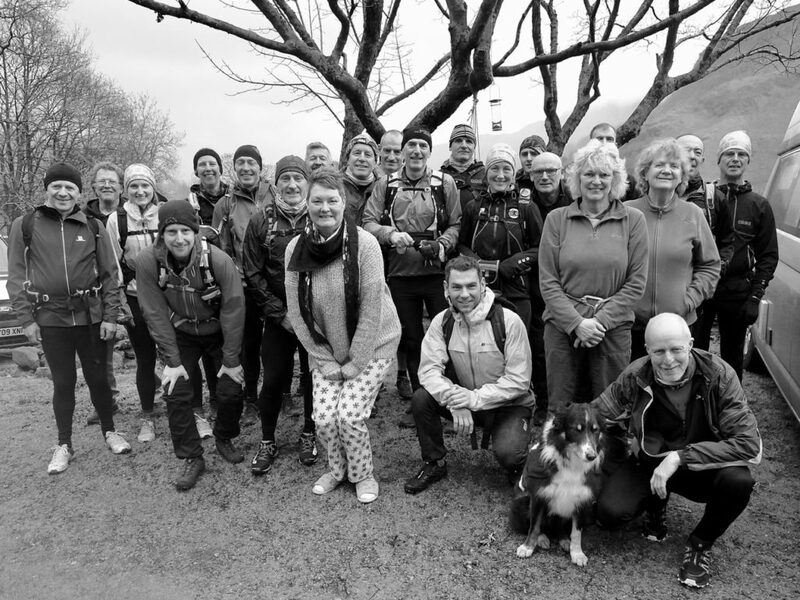 A large group of members arrived at Bishop’s Scale on 30th December to see in the new year. New year’s eve activities included the long route to the Old for those shown in the photo opposite (via Seargent Man, High Raise and the Langdale Pikes) and a trip to Cathedral Quarry for others. Most managed to get to ODG by 3pm. A couple of pints were consumed before we all returned to the hut to prepare the annual Jacob’s Join. 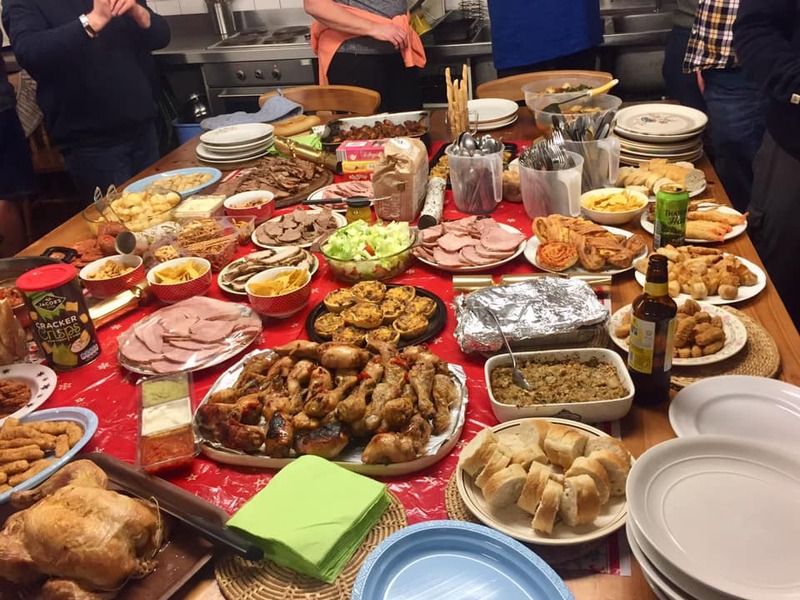 As can be seen the contributions from all produced a wonderful feast leaving no one hungry. Some made an effort to empty the barrel of beer before we headed down to the New Dungeon Ghyll to be entertained by Bodger’s Mate and a rather fabulous firework display. On return to the hut the traditional dram or two of whisky was consumed before bed, with silence (except for snoring) descending sometime around 03:30 am. New year’s day morning saw the annual Side Pike dash taking place. Entries were low, with Alex Pollard, Owen Pollard, Natasha Fellowes and Chris Lloyd being the only four of the fifty or so people in the hut who couldn’t come up with a reasonable excuse. 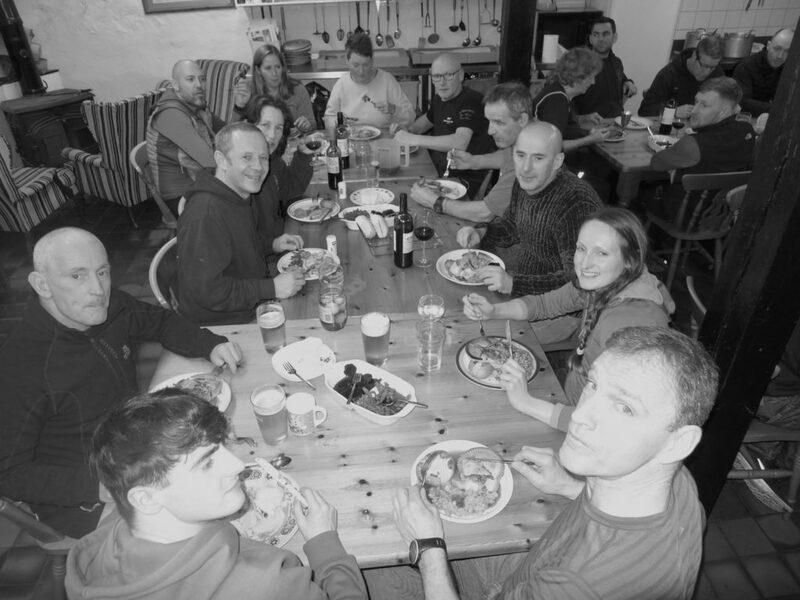 On route we were caught up by Daz Graham who started late having already done the Whinlatter and Keswick park runs. Most people returned home on New Year’s day. Those that remained spent the afternoon carrying out a few maintenance jobs, chopping wood and enjoying the sunshine on what was a very mild and sunny winter’s day. The New Dungeon Ghyll in the evening was a mellower place than the previous night but Bodger’s Mate were on fine form as always. We look forward to more of the same next new year. Thanks to Robert Green, Dave Makin, Sean Makin, David Ogden and Terry Kitching we now have a drying room at Little Ground House. The alcove in the utility room has been partitioned off and fitted with drying racks, a heater and a dehumidifier. A facility that will be appreciated by all those who visit LGH when its wet. A small group gathered at Bishops Scale over the weekend of 1st and 2nd December to chop wood from a tree that had been felled a couple of weeks previous. As a result of their efforts the wood shed is now almost full with wood which will need to be left to dry and therefore cannot be burnt until next winter. Stocks of burnable wood are low at Bishop’s Scale at the moment and efforts are being made to address this. 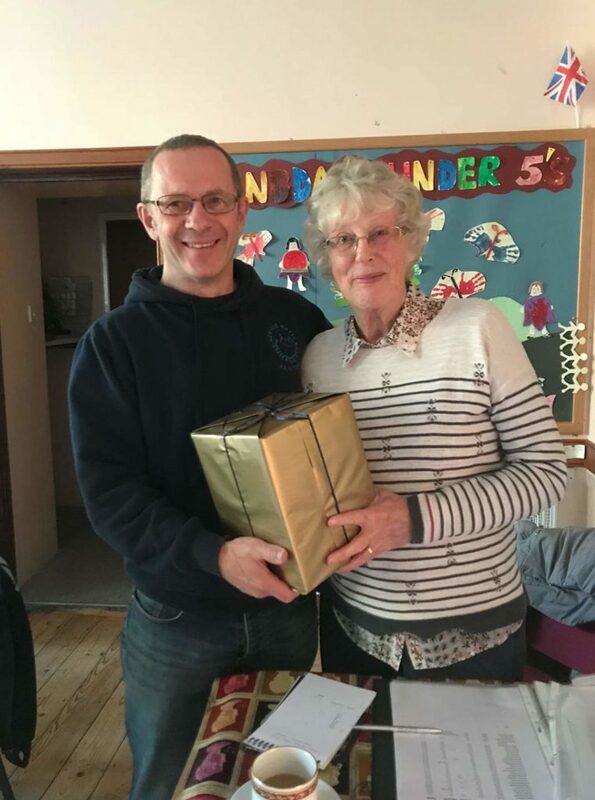 The weekend of the 8th and 9th December saw the fourteenth and final Christmas at Tyn Twr meet to be organised by John and Ann McGonagle along with help from their faithful assistants Pete and Hilary McGonagle. 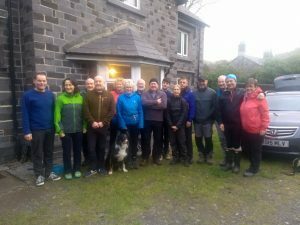 For some of us the weekend started early, arriving at the hut on thursday evening to give time for the beer to settle and the opportunity for an extra days walking. 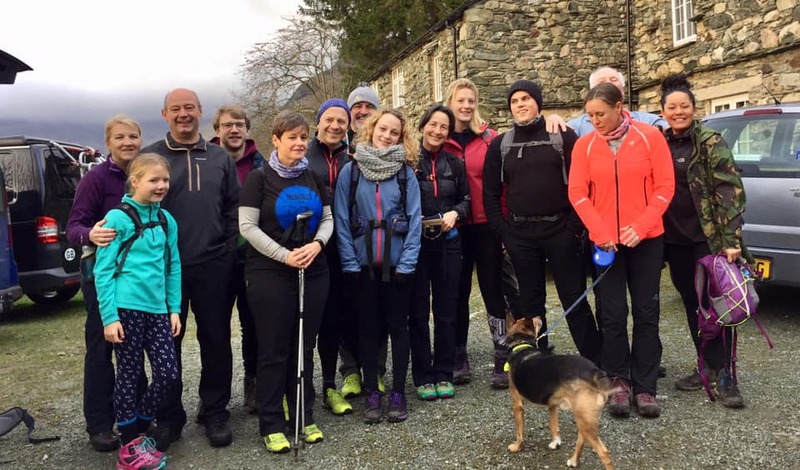 On the Friday Chris and Tash had a very windy shuffle over some the Carneddau, whilst the Makins and Poolers opted for the lower level walk around the forest of Betws Y Coed and Pete and Hilary went over the water to Anglesey. Paul Charnock opted to stay at the hut a nd chop wood whilst John and Ann went to Tesco’s to do the big shop. Most of the other attendees arrived on Friday afternoon in time to sample the barrel of Rudolfs Best Bitter – it had settled nicely and it went down very well. 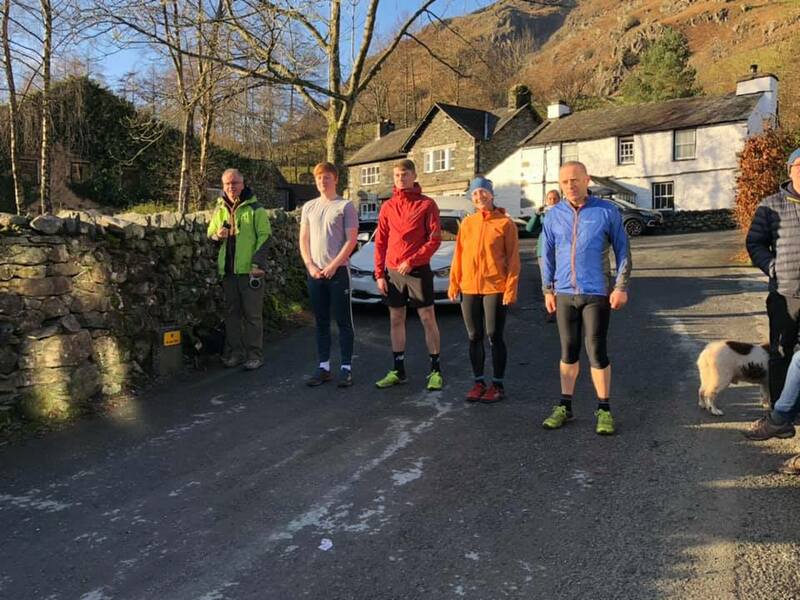 All those not involved in food preparation were ushered out of the hut at 09:30 on Saturday morning and following a brief photo shoot we jumped into cars and headed off to Beddgelert. The planned route for the days walk, being one of John’s favourites, involved walking along the swollen Afon Glaslyn, up Cwm Bychan, past the ancient copper workings, down to Llyn Dinas and back to Beddgelert. 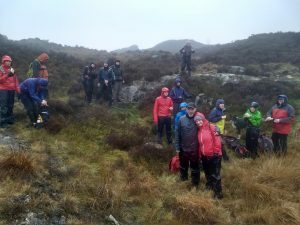 It rained for most of the time, but the spirits of most remained high and we were fortunate that the longest dry spell coincided with the butty stop at Llyn Dinas. An hour or so was spent rehydrating in the Tanronnen Inn before returning to the hut where Ann and Hilary were well on with the preparations for the evening meal. Pre dinner drinks were enjoyed in The George (Y Sior) at Rachub and everyone returned by seven to sit down to a wonderful Christmas dinner. 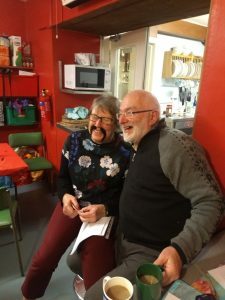 Many thanks to John, Ann, Pete and Hilary organising the weekend and particularly to Ann and Hilary for preparing the dinner. The meet will be held next year although the format will change slightly – always a popular meet – booking essential.